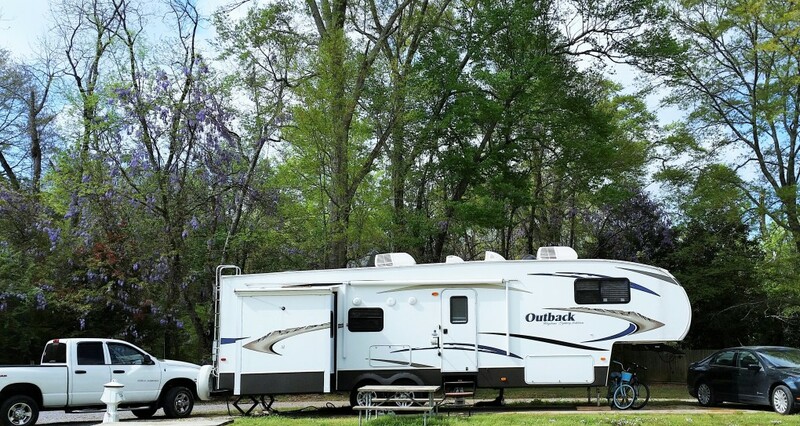 For those of you who have been following us, you know that we went an entire month without WiFi or TV service while at Buccaneer State Park, so to be able to access the Internet from the RV without using our data package and to be able to watch regular television shows thanks to the free cable at the park was fantastic. Our spot was in a nice location and easy to get into. I loved the view next to the camp site that was ours since our site was on the end of a row. I’ll not going to review it any more as Jim will do so, and I’ll link to it here once he does. While here, we found two awesome eating places. 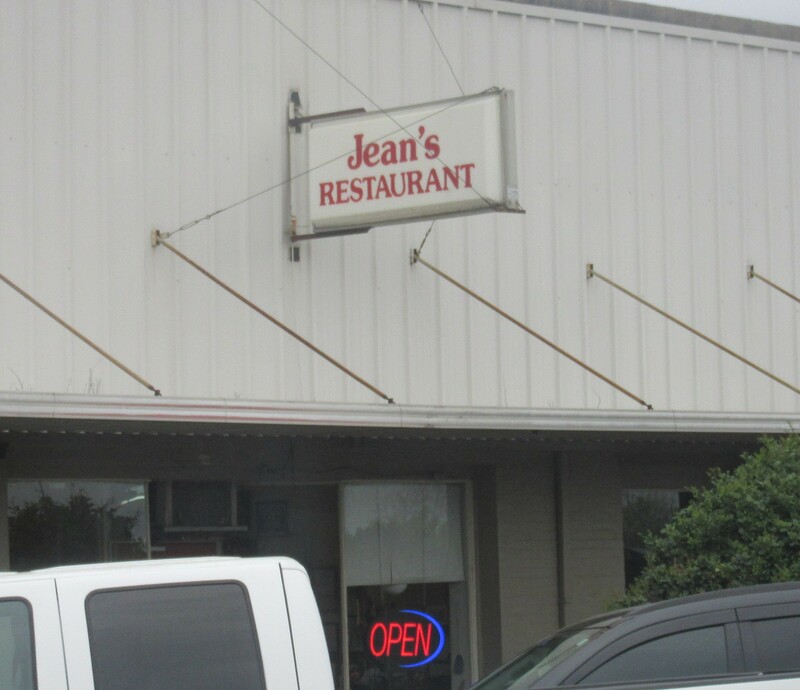 First is Jean’s Restaurant located in downtown Meridian on Front Street. 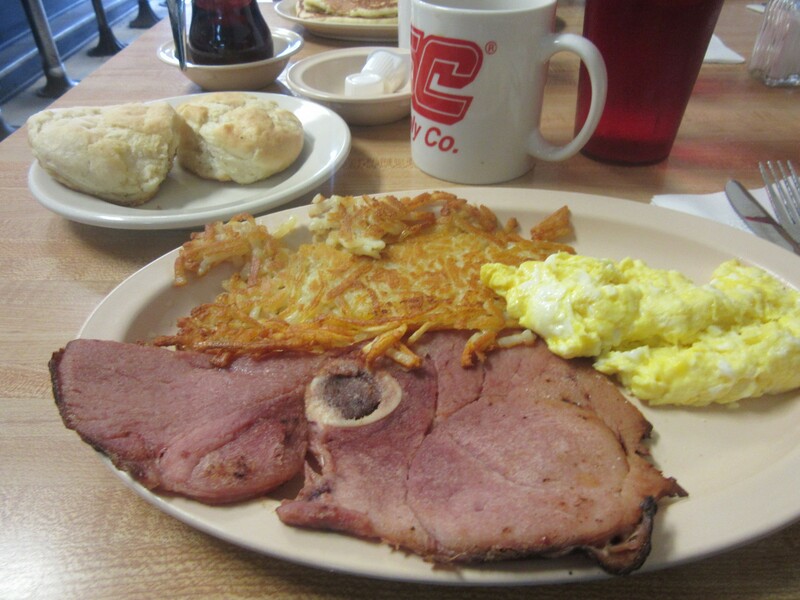 We had a fantastic country breakfast here. 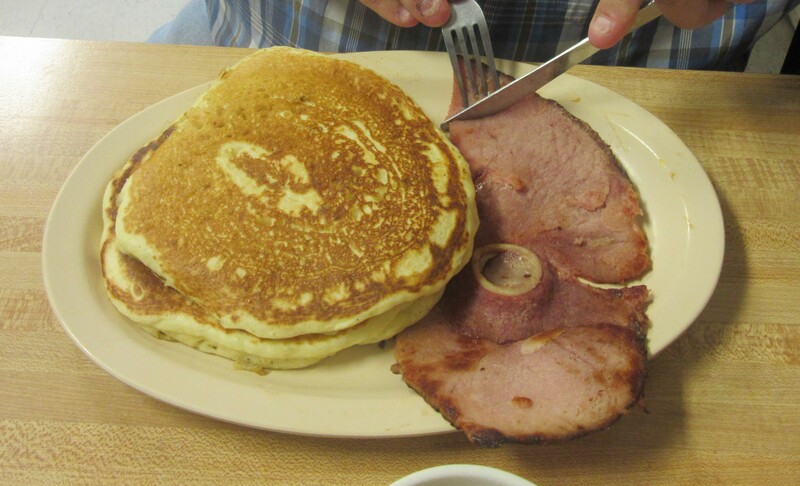 It was like stepping back into a small town diner of the 60s, and we loved it. 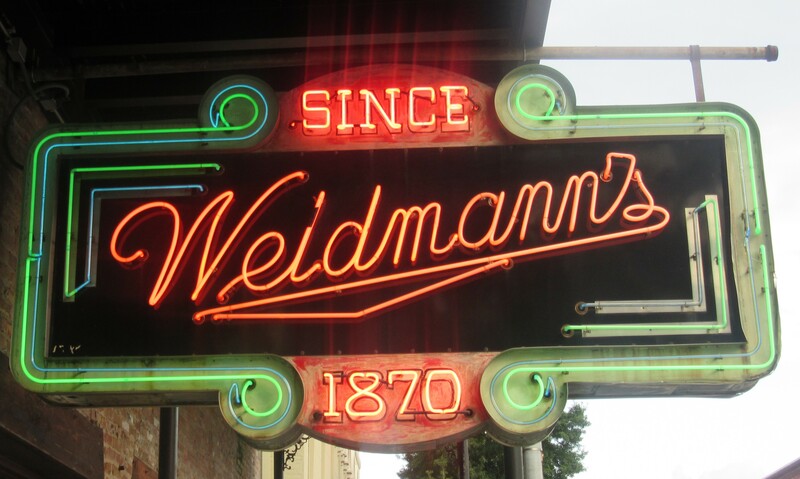 For dinner last night, we made reservations at Weidmann’s Restaurant, located at 210 22nd Avenue in downtown Meridian, Mississippi. 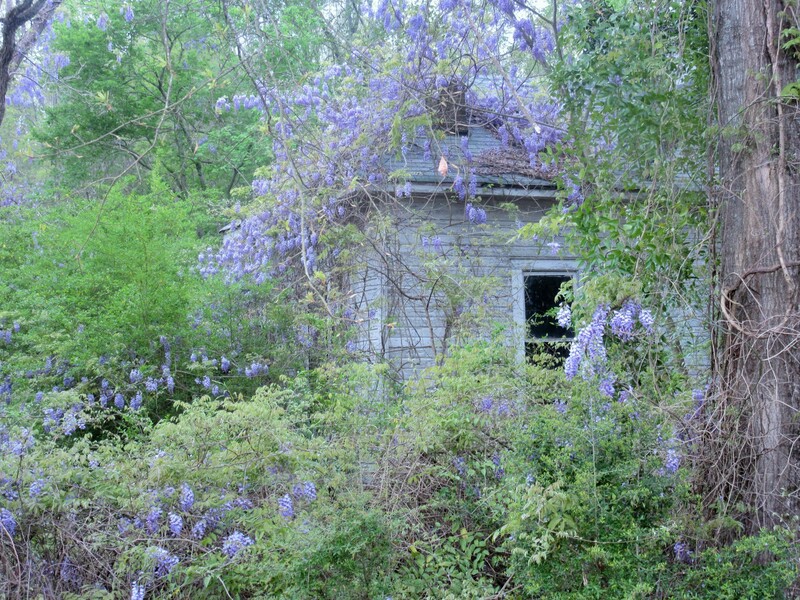 The place sounded intriguing, and after we arrived, we learned that this establishment lays claim to being the oldest restaurant in Mississippi. Once seated, it was clear reservations were not needed for early birds; however, I’d advise reservations on weekends and special event days as the place was filling reasonably fast after we arrived. 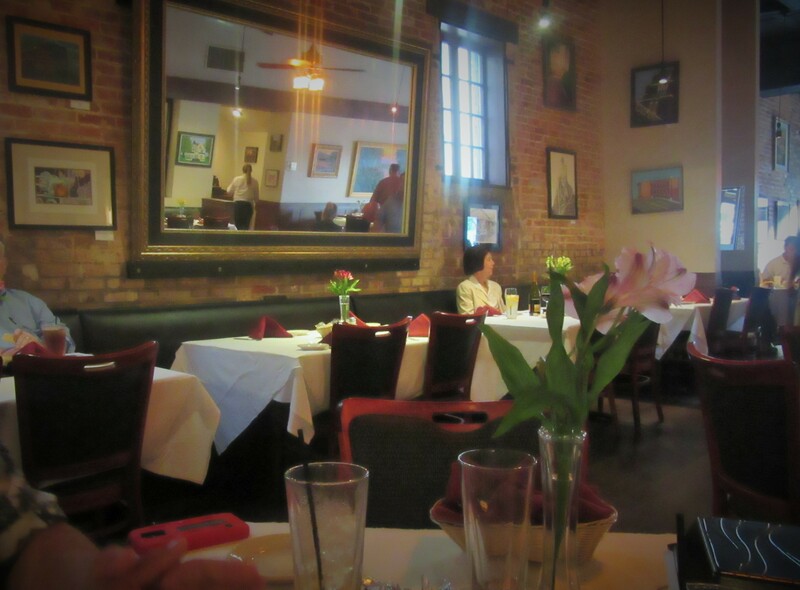 I’m a sucker for the revitalized, old, brick buildings, and the atmosphere was a combination of welcoming and refined. 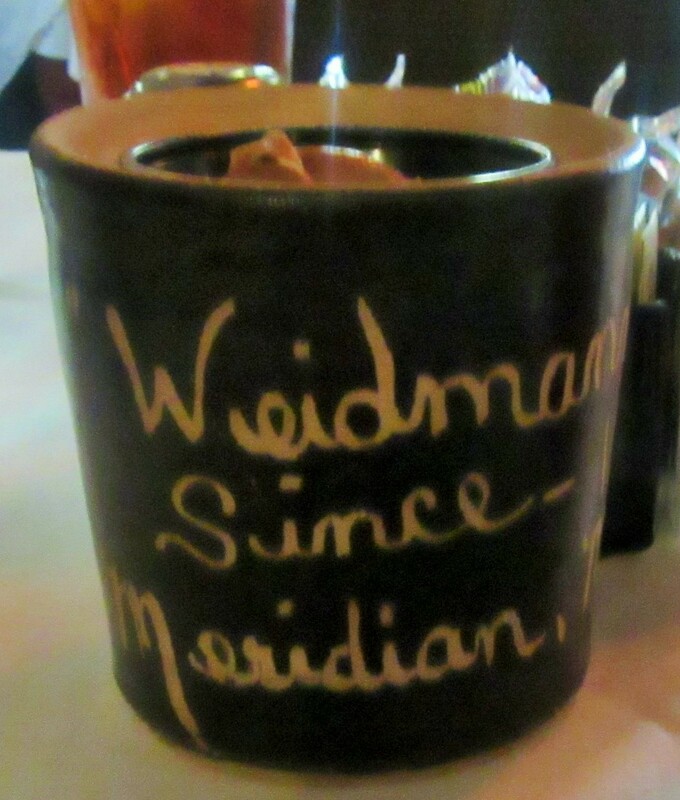 A unique aspect to this eatery is the fact that it became tradition several decades ago to offer crackers and peanut butter in place of butter at the table; this was an unexpected twist. The crock has peanut butter in it. 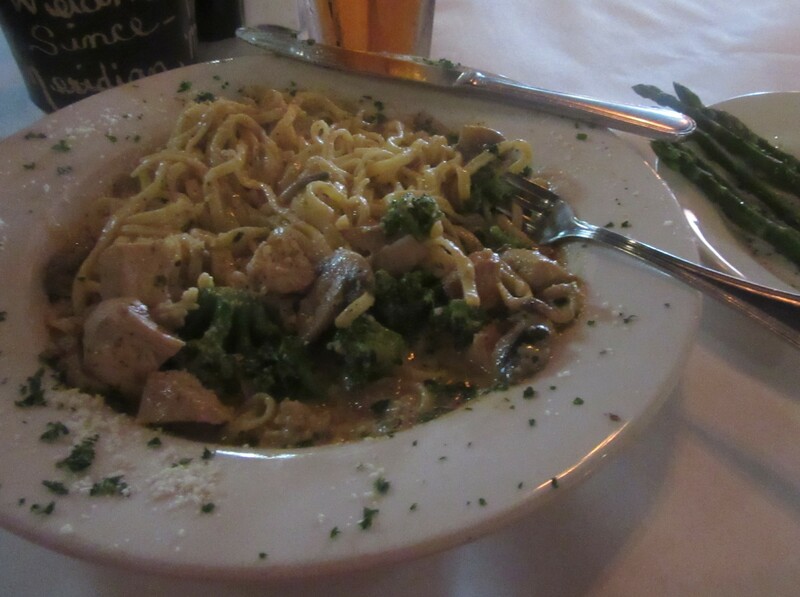 Menu selections were impressive and ample, and for the quality and quantity of the food, very reasonable in price. 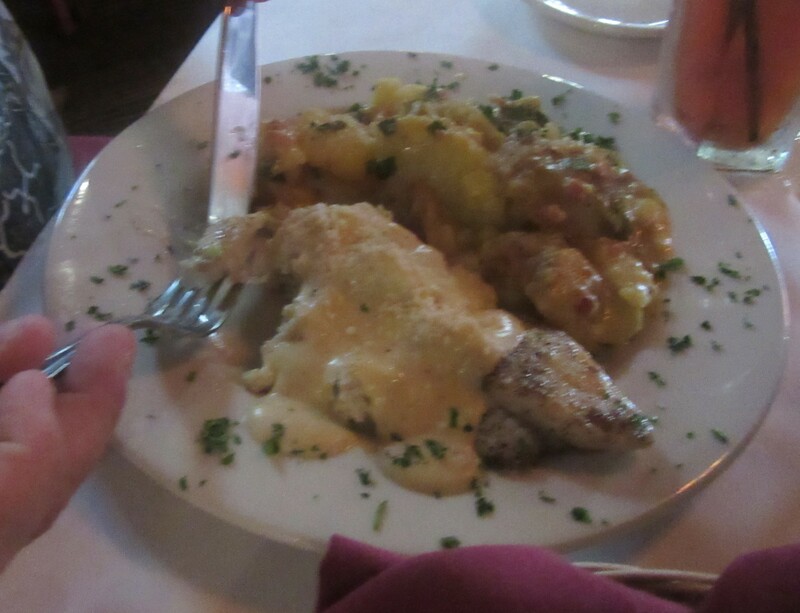 Jim ordered the Catfish Belvidere with a side of au gratin potatoes; he had a piece of lemon pie for dessert. 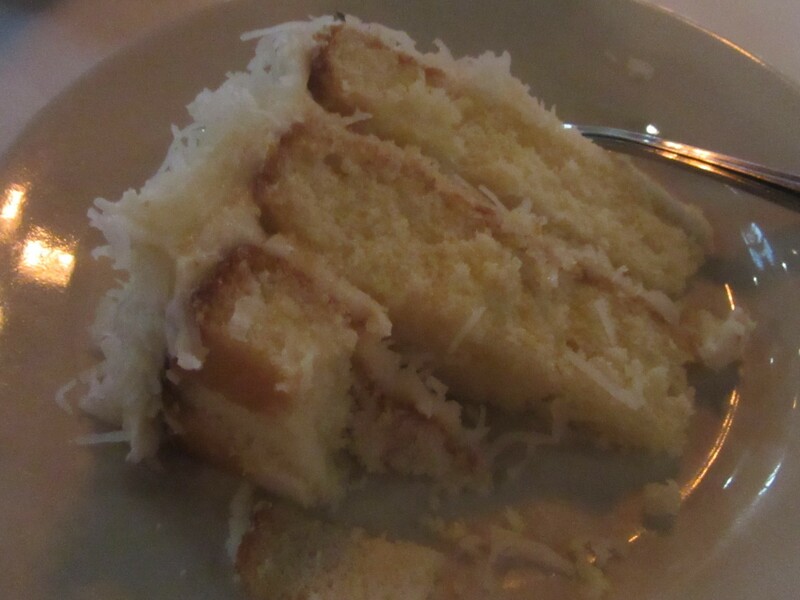 I chose Chicken Alfredo with a side of steamed asparagus and fresh made coconut cake. It was all delicious! 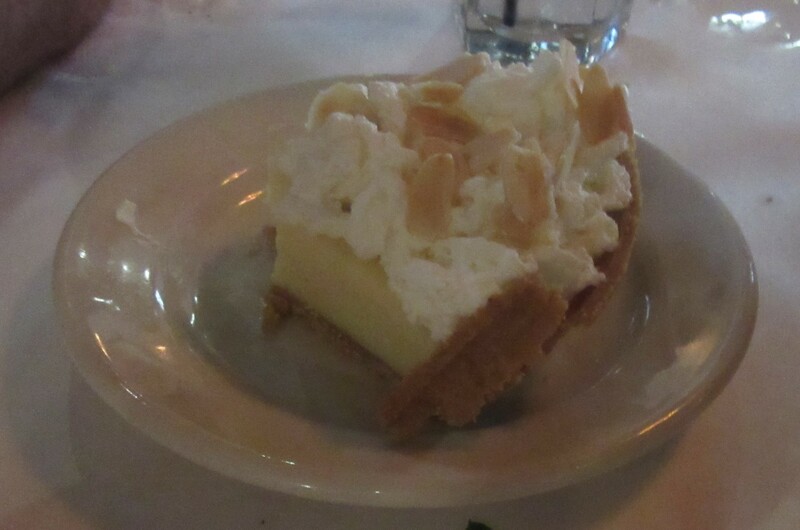 If you happen to visit this lovely restaurant, you may want to ask about serving sizes. The Chicken Alfredo with a side and the bread served with it was enough for two people. I left with a to go box. Jim and I both highly recommend this gem of a dining establishment, and I think it would be worth a trip out-of-the-way. 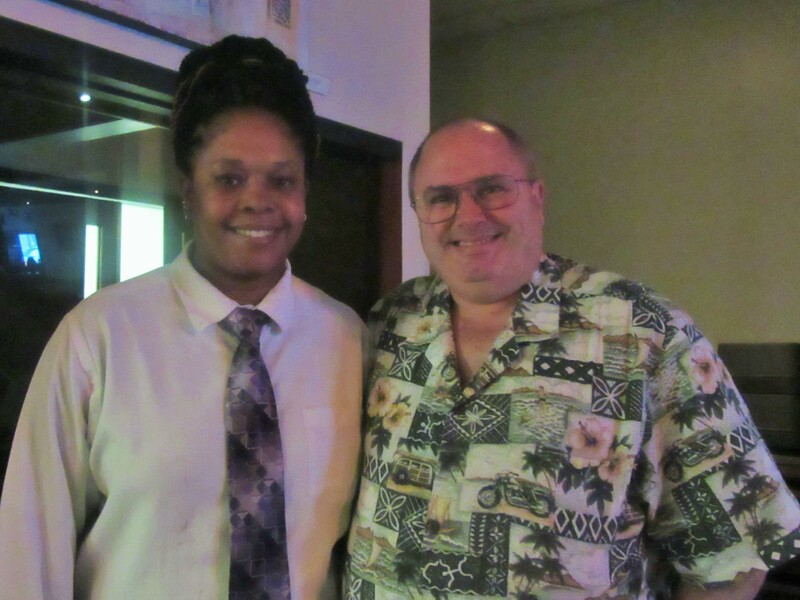 Both our server, Michelle, and the manager, Molly, were gracious and attentive. Though they were both busy, we were made to feel as if we were the most important customers in the room.